Brutus designs and builds a large selection of lube bodies for any size chassis or offroad vehicle platform. 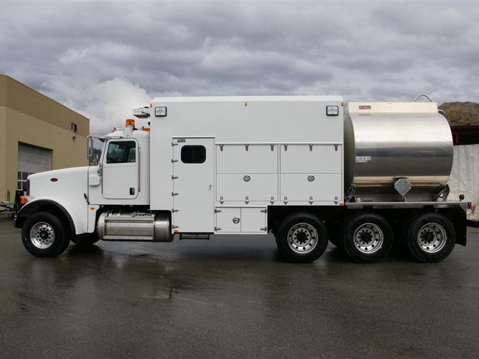 Lube bodies can be made of steel or aluminum in any design or configuration. Brutus uses only premium Graco lube equipment combined with any size steel or aluminum product and fuel tanks. For cold weather applications we offer insulated bodies with a variety of coolant, electric, and diesel heater options.